I said know this would happen. I even have told my friends about this, finally LG is going after Samsung with everything it’s got in 2016 and the LG G5 is just about the most interesting handset I’ve seen in recent times. LG has listened to consumers, seen what they want, and has built a phone that speaks to their needs and wants. You can’t please everybody though and complaints thus far seem to be two fold: the G5 is ugly, which, of course, is subjective, or that it doesn’t have a big enough display. Again, a matter of opinion. I’d argue LG really has tried its hardest to meet the needs of practically every consumer out there; from floating voters and existing G4 users, right up to early adopters and power users looking for the next big thing. In this case, the G5’s modular aspect. I’ve watched the company grow in confidence with each new release. The Nexus 4 and Nexus 5 got LG back in the game, proving it could make decent phones. But it wasn’t until the LG G3 that everybody stood up and took notice. Since then the company has been going from strength to strength and the LG G5 typifies just what is possible when a company is hitting all the right notes. The LG G5 isn’t incremental. It doesn’t look like the LG G4. It has a bunch of new features and specs but, unlike nearly every other phone that’ll be released this year, it has something completely new, something 99.9% of people had no idea even existed until earlier today. Yes, I am talking about the G5’s modular derrière. But first, let’s get the basics out of the way. I am 100% in love with this phone. I love the way it looks; the design is subtle, fresh and premium. There isn’t an antenna band in sight, the corners are smooth and the build materials are just excellent. I’m also OK with the fact that it has a 5.3in display, a 0.2in smaller than last year’s model. I say, OK, but I kind of would have preferred 5.5in, but that’s just me. LG isn’t one of those brands you immediately associate with quality design and build materials. Apple is, ditto Samsung and HTC. But not LG, not really, anyway. LG has always been good at hardware and specs and getting everything to play nice. And that was fine. This is, after all, what most people care about. I expected this to be the case in 2016 as well. How WRONG I was. The LG G5 is premium as hell and is made out of magnesium which looks smart, thanks to its matte finish, and aids grip quite a bit as well. The end result is utterly fantastic and not a lot unlike a slightly smaller Google Nexus 6P. I’m pretty convinced this will be my next phone. The G5 has a fingerprint scanner around the back in the now-usual spot and the volume rocker and unlock/power key are back in the more traditional place on the side of the handset. The back of the device is almost completely seamless; the only break in the unibody design comes from where the modular component connects at the bottom. The G5 weighs 159g and measures in at 149.4 x 73.9 x 7.7mm, making it both smaller and lighter than its predecessor. The battery is a removable 2800mAh, which you access, along with the SD card, via the modular component at the bottom of the device. The LG G5 ships with 4GB of RAM and comes with 32GB of storage, but you will be able to supplement this with SD cards (up to 2TB). Oddly, the LG G5 -- like the Samsung Galaxy S7 -- does not support Android’s adaptive storage feature, which essentially forces the phone OS to view external storage the same as internal storage. Samsung said the reason it excluded support for adaptive storage was because the feature wiped an SD card’s contents if removed incorrectly, and that was a risk it wasn’t willing to leave on the table -- not when its customers’ content is so important. I imagine LG will be taking a similar stance. As previously mentioned, the LG G5 has a modular component located on the bottom of the device’s chassis. Inside here you get access to the G5’s removable battery and SD cards. This is the dull stuff, though, because the really interesting part is the fact that you can attach accessories to the phone -- accessories like a Bang & Olufsen DAC for superior music quality or LG Cam Plus, which adds 1100mAh battery and hardware controls (hardware key, a video button, zoom controls) to the G5’s camera. The G5’s modular section will be open to third-party developers as well. What kind of stuff will we see launched in the coming months? The sky’s the limit, really. Game controllers, photography accessories -- you name it. Personally, I think this is one of the coolest thing to happen to phones in a long time. I can’t wait to have a proper go with the G5 and its army of accessories. On paper this feature seems almost too good to be true. And in practice the feature seems to work remarkably well. However, how it works in actual, real world testing remains to be seen and it is impossible to make a judgement call on this aspect of the G5 based on our limited time with the handset at MWC 2016. Bugs, performance issues and things generally going on the fritz are all associated with first-generation products and new types of connectivity. It’s basically impossible to test a camera out for a first look, so for the sake of this article we’ll just recap what the LG G5 packs in the imaging department. Like most things to do with this handset, the imaging looks and sounds very impressive. Even more so when you factor in the accessories (LG 360 Cam) you can attach to the phone via the G5’s modular port. Plus the fact that LG has opened up the modular aspect of the G5 to third party developers, making way for even more innovation in the coming months. The latest LG G series phone was released back in April, 2015. So there are practically no chances of LG introducing its next generation phone this year. But 2016 is definitely going to witness the launch of LG G5. We are expecting the makers to officially announce about the phone in March 2016. However, according to some leaked informations and media report, LG is getting ready for a pre-Christmas 2015 release. 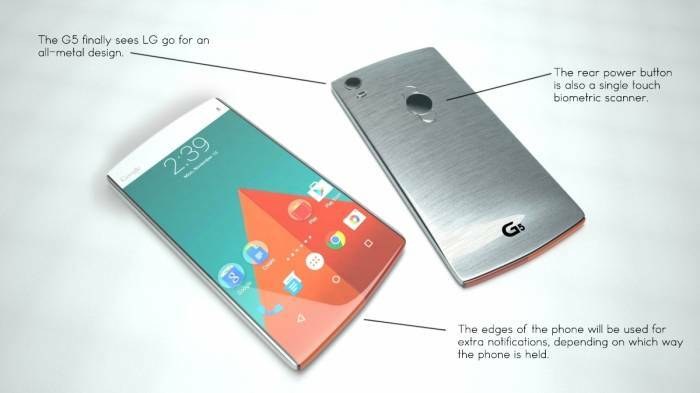 So, the LG G5 Release Date is expected to be scheduled in November, 2015. Every year LG has followed the trend of officially announcing their phone, so this year would not be any exception to this. Consequently the phone will be released in Asian market in the middle of November, 2016. In the subsequent weeks it will be released in USA and Europe. 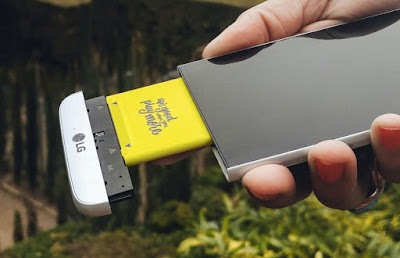 The LG G5 feels like the prototype of a mobile phone we’ll have been using. It sews together powerful hardware, like a fantastic cam and also modular style, yet fails on looks. The G5 will launch in 4 colors, pink, grey, silver, and gold while no price was revealed. Taking into consideration in 2013’s model went for $600; we’re probably looking at around the same price. Stay with us for more updates about LG G5, LG’s next best. 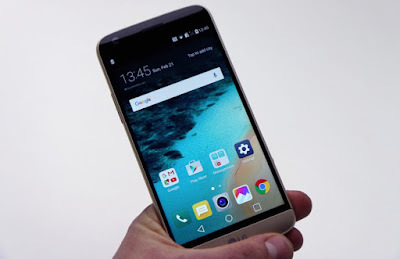 very soon LG G5 pre-order will started on all the major eCommerce sites like Amazon and other. Outstanding! The LG G5 is EASILY one of the most innovative handsets I’ve ever laid eyes on. It is completely unique in the mobile space at present and I believe it, and not the Galaxy S7, will be the benchmark by which all other Android handsets are measured by in 2016.